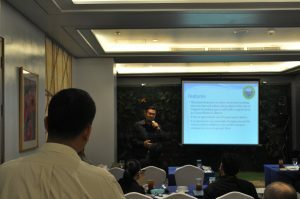 Urban planners and financial officers from the local government units (LGUs) of Calapan, Dipolog, Puerto Princesa and Quezon City were trained on financial assumptions and projections to determine the potential performance of their project ideas – the implementation of which were eyed for public-private partnerships (PPP). The economic aspect is considered as one of the key elements, beside ecological and social considerations when designing sustainable urban infrastructure projects. 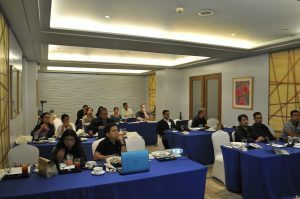 Thus, the financial modelling training helped LGUs to check and analyse the bankability and economic viability of their respective projects. 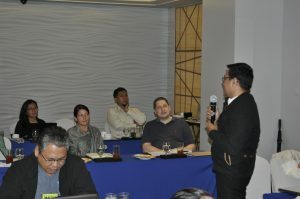 The LGU representatives worked closely with skilled personnel from the PPP Center on assumptions, calculations, financial statements and ratios as well as project indicators. 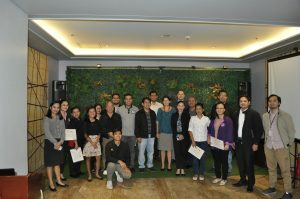 Using these principles, they looked at their own projects and presented the results to a pool of experts comprising Ms. Marlene Vinluan from the Global Green Growth Institute, Mr. Mark Adrian Asinas, an Assistant Professor at the UP Virata School of Business, as well as CDIA’s Urban Infrastructure Engineer Mr. Brian Capati and Program Coordinator Ms. Eva Ringhof. The training helped the participants get a clearer picture of the true financial scope of their projects, which would be advantageous to better market their project ideas to prospective private sector partners. At the same time, undergoing the financial modelling exercise allowed them to have a more solid information which would come in handy during negotiations between the public and the private partners.